WiFi is considered the most useful and significant aspects of using a computer. But sometimes, working on a WiFi connection can get too frustrating due to poor signal strengths resulting in slow internet connections. There are certain ways that you can implement to boost your home/business WiFi signal in the best possible way. This article will highlight 8 such ways in greater detail. One of the best and conventional tactics that you can implement to make your network fast as well as reliable as much as possible is to use an up-to-date hardware. There are FIVE major IEEE wireless standards and speed varies on basis of these standards. These are: Wireless A (802.11a), Wireless B (802.11b), Wireless G (802.11g), Wireless N (802.11n), Wireless AC (802.11ac). Wireless A, B and G are old-school and slow at the same time. Wireless N and AC are considered the fastest of the lot. So make your choices accordingly. You might not prefer to place your router out in the open and hide it behind your TV cabinet but that practice is going to be derogatory on your end especially when the signal strength’s concerned. You’ll get the best signal if you keep your router out in the open, without any obstacle close by like the walls or any other obstructions. The antennas should be pointed perpendicularly. If you have any neighboring WiFi signal nearby, their router signals might interfere with yours resulting in signal degradation. Wireless routers can function on several channels but you will definitely want your channel to have as little interference as possible. You can use several tools like WiFi Analyzer or WiFi Stumbler to find the apt channel in your house. Your router probably has a password. But you have no idea that the password guarantees almost zero security and is quite easy to hack as well. There are a few ways that can help you find out whether someone’s stealing your WiFi or not. The internet has tons of tutorials that you can explore at the same time. Changing password from time to time. By improving security, you are actually boosting your private WiFi signals in the best possible way. Certain applications use a lot of bandwidth thereby, slowing down your internet from time to time. Common examples include video chatting, multiplayer gaming, torrent download etc. You need to control such bandwidth hogging on basis of application priority. You can opt for certain services like QoS (Quality of Service) to conrol such bandwidth hogging. With the help of QoS, you will be able to prioritize certain applications (such as, multiplayer gaming) over another (such as, video conferencing). You can extend the range of your WiFi by implementing simple DIY tricks such as the Windsurfer tin foil hack. You can go through this short video to know about this in greater detail. 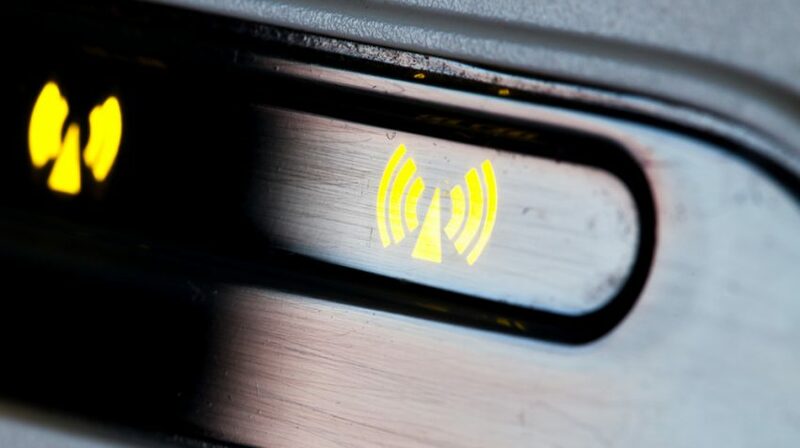 Other routers aren’t just the only thing that can interfere with your router signal. Electronic appliances such as cordless phones, microwave ovens etc. can interfere with router signals as well. So if possible, keep your interfering appliances at bay from the router. Many router problems arise due to hear, excess downloading or old firmware. The easiest way to solve these problems is to automatically reboot the same once a day or two as per schedule. Sometimes, the simplest approach can be considered the best to solve a complex problem. Implement all the steps mentioned above in the best possible way and you’ll certainly see a clear improvement in your home/business WiFi signal. It’s time to bring this article to an end now. Hope you had a good read.